Here at PayPerContent, our aim has always been establishing a give and take relationship. We don’t only accept article submissions, we want our writers to improve and become a better version of themselves. This is not only for our sake, but for yours as well. This LSI generator helps you find a more appropriate topic for your article. 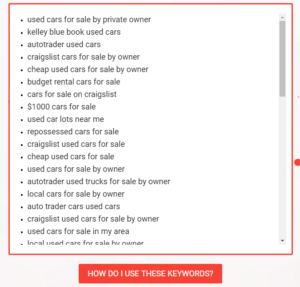 All you need is to key in the main keyword and generate the LSI to help you find relevant topics from answerthepublic.com. 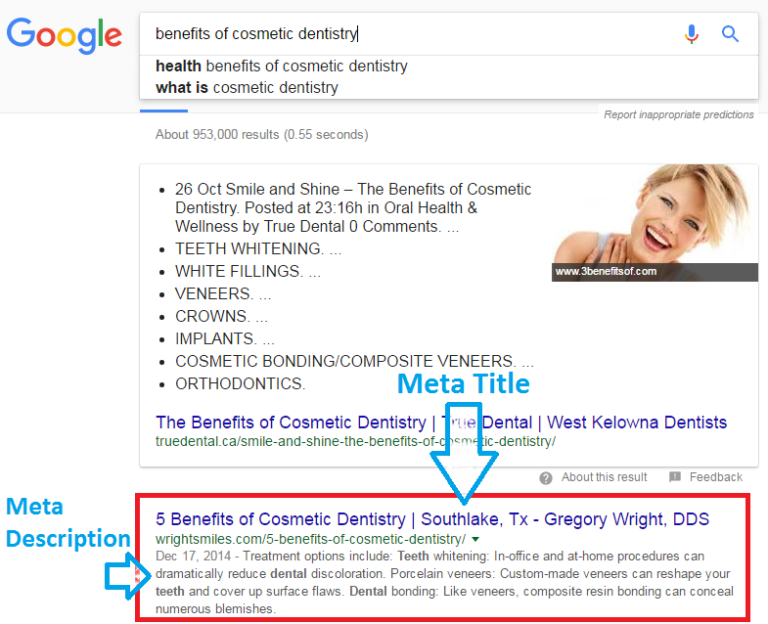 Latent Semantic Indexing (LSI) is a mathematical method used to determine the relationship between terms and concepts in content. It looks for synonyms related to the title of your page. After completing the captcha, LSIGraph will list words relating to your main keywords. From “cars for sale,” you can find topic ideas like used cars for sale, local cars for sale, and repossessed cars for sale. This online writing editor “…makes your writing bold and clear.” It tells you if your sentences are difficult to read, if your word choices have simpler alternatives, and if you’re using too many adverbs and passive sentences. 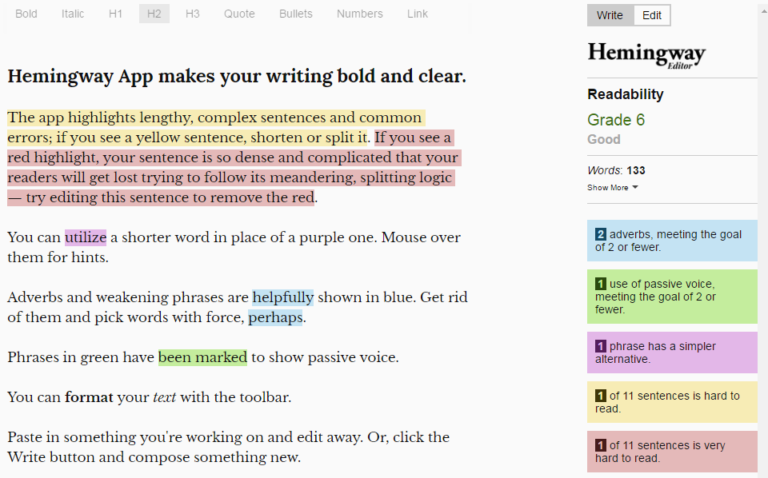 It’s color-coded, so you won’t have difficulties knowing what’s wrong with your sentences. You’ll also see the readability statistics of your article on the right side. Click “Show More” to see the reading time, the number of words, and other information about your article. If you find the colors distracting, you can switch to “Write” mode on the top-right corner of the screen. Meta Titles and Descriptions are important because these are what users ​see initially prior to visiting your page. If they’re not engaging enough, they won’t bother clicking and reading your article — no matter how well-written and interesting it is. 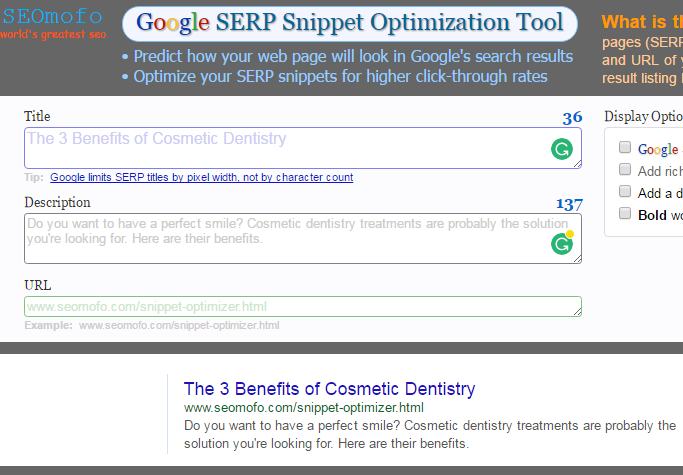 With the Snippet Optimization Tool, you don’t have to check manually if you’ve exceeded the character count. We don’t want to waste your time and effort, coming up with titles and short summaries. Let this help you know if what you’ve ​created is enough. We hope ​that ​these tools​ help you improve your article submissions​.